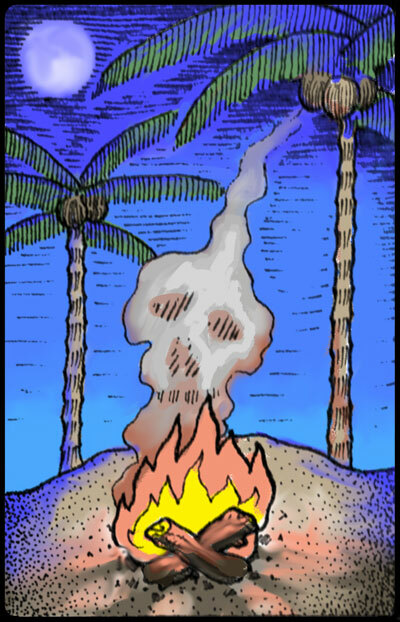 Follow us to Kickstarter Early 2019! 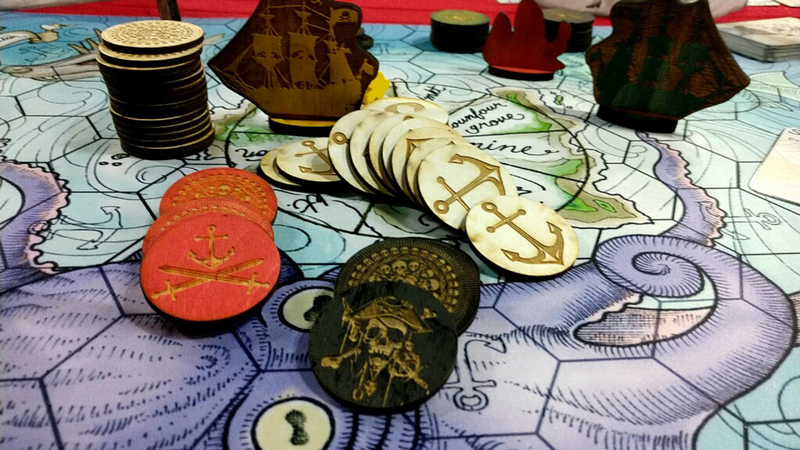 Currently, in prototype form, CAPTAINS AND CURSES is a pirate-themed, sandbox, strategy-optimization game with a variety of mechanics played out over land and sea. 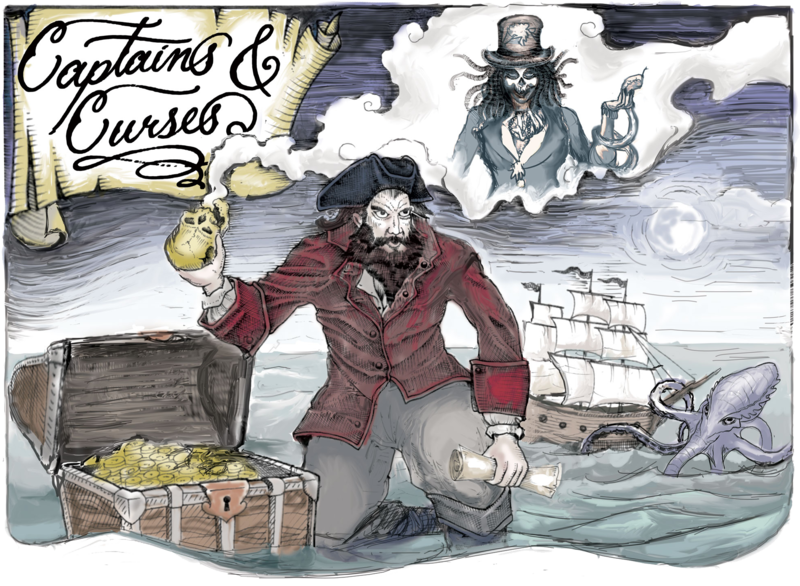 Featuring: deck-building, pickup and delivery, gambling, and set collection; CAPTAINS AND CURSES celebrates the danger and opportunity of pirate life. Sign up to be notified of our Kickstarter launch and receive exclusive news and content from the Bossy Games Collective. 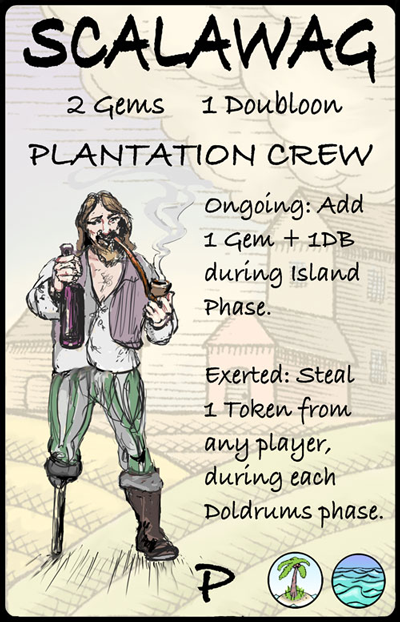 Plunder ships on the high seas, duel and rob your fellow pirate players, mine for gold, gamble at the tavern, and battle a host of monsters based on Caribbean folklore. 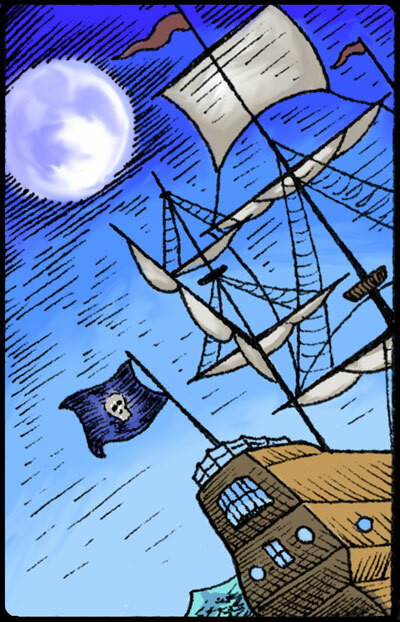 The game is won by a Pirate Captain gaining the most Notoriety Points. Get Captains & Curses Updates! 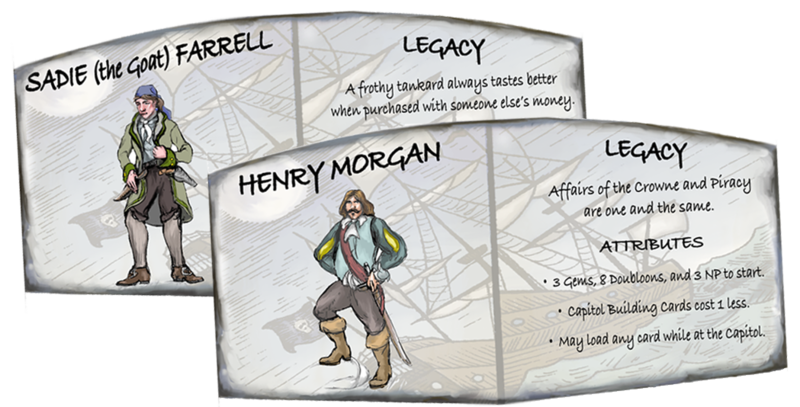 CAPTAINS AND CURSES allows each player to assume the attributes and the legacy of a long-ago Pirate Captain. 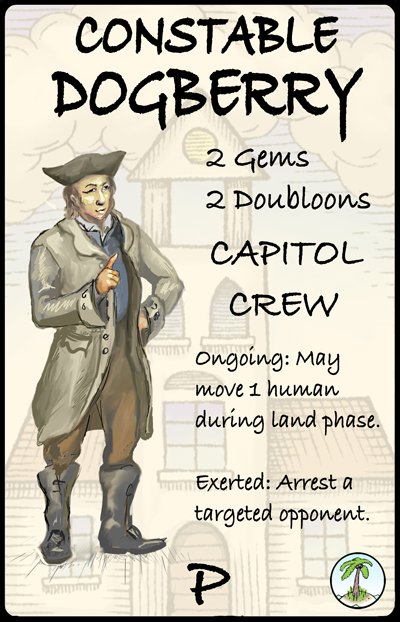 These Captains gained their notoriety not only by being bold and ruthless but by using the resources of the times. 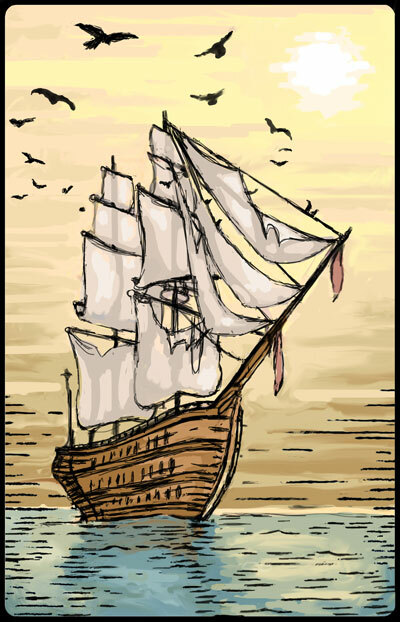 Some captains sought the favor of the Church, others the loyalty of the Crown, others became shady merchant seaman, and the more fearless took risks untold to unlock the Dark Arts of Voodoo. 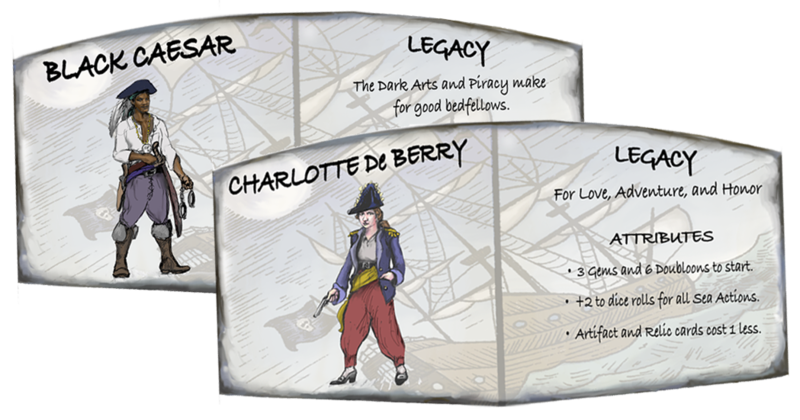 Dangerous and daring, women were well represented in the Golden Age of Piracy. These captains were all a diverse lot, hailing from across the reaches of the sea, seeking riches, power, and, most of all, notoriety. 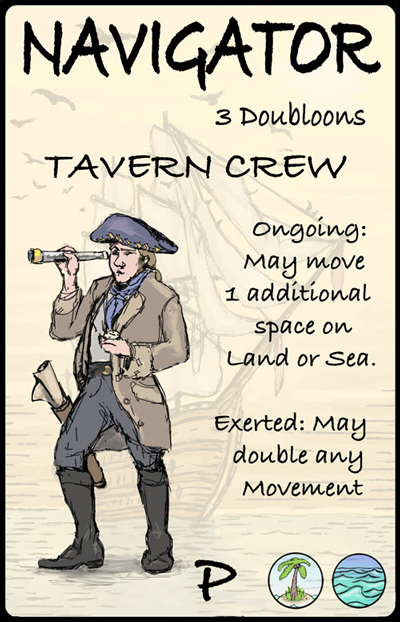 A good pirate captain is only as good as a Crew. 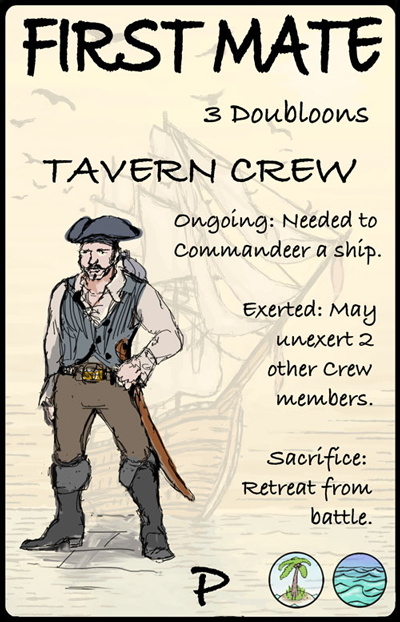 CAPTAINS AND CURSES allows each pirate captain to draft a Crew worthy of their salt. Every seafarer needs a Navigator and a First Mate. 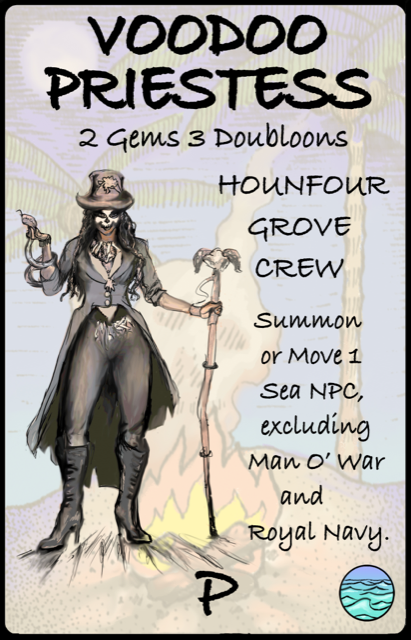 Do you have the wits, the nerve, and the good fortune to earn the most notoriety skills by also drafting special crew such as the Voodoo Priestess, the Quartermaster or the Scalawag? 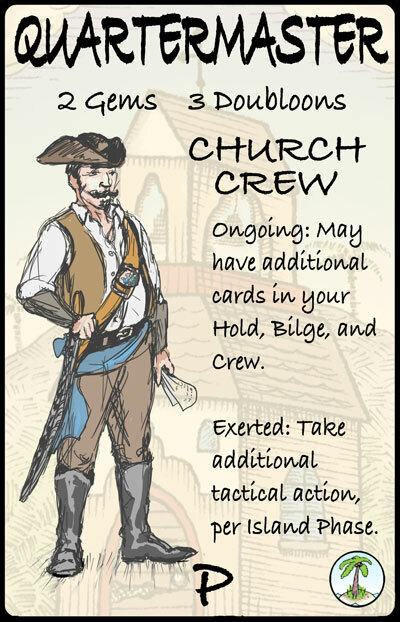 CAPTAINS AND CURSES allows each pirate captain to pull cards to address actions on the Land and Sea. 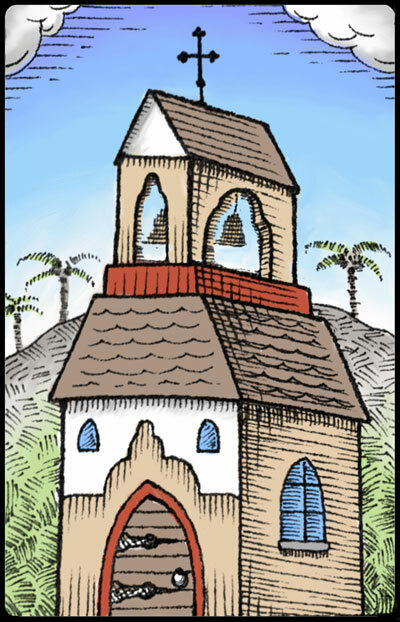 There is a Doldrums deck, a Pirate Tactics deck and card decks associated with the institutions of the Island, including the Capital Building, Church, Mine, Plantation, and Voodoo Hut. 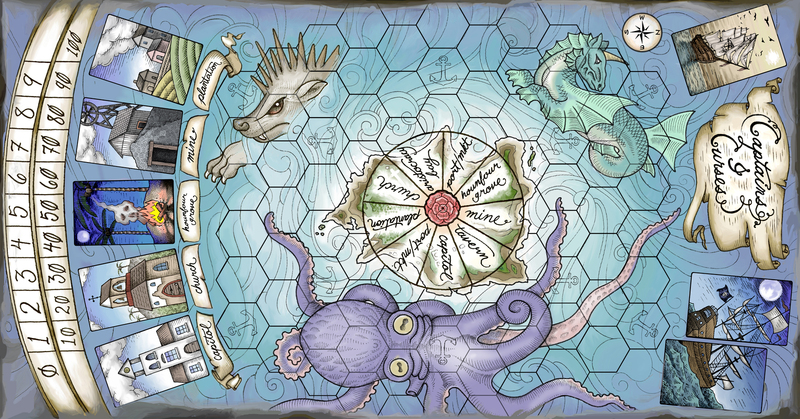 CAPTAINS AND CURSES game board is a map of a re-imagined pirate Island surrounded by the perils of the Caribbean Sea. 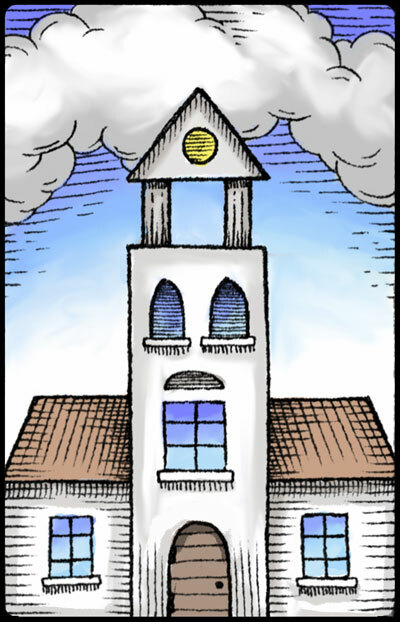 The Island is a stylized Roundel surrounded by water. 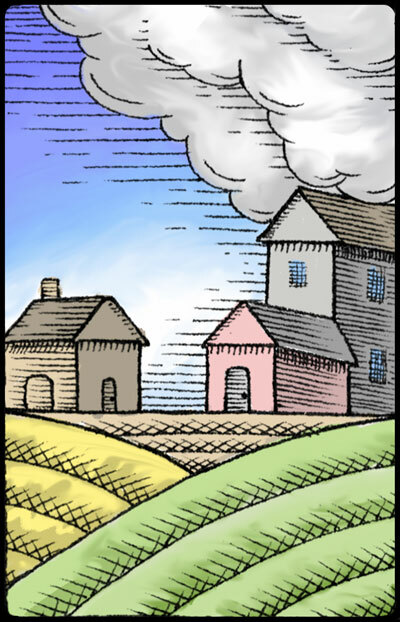 The art for the map was created by renowned tattoo artist Mathew Crimson and enhanced with color features by professional artist Jonathan Brice Lyman.